Ibo van de Poel is Antoni van Leeuwenhoek professor at TU Delft; an exclusive professorship for excellent young researchers. He is an internationally leading scholar in Design for Values, responbility issues in engineering, and in technology as a form of social experimentation. Van de Poel studied philosophy of science, technology and society, with a propaedeutic exam in mechanical engineering at the University of Twente. In 1998, he obtained his PhD in science and technology studies (STS) with a dissertation on the dynamics of technological development; his supervisor was prof. dr. A. Rip. During the last few years, he has done research and published in the following areas: the dynamics of technological development, engineering ethics, the moral acceptability of technological risks, values and engineering design, moral responsibility in research networks, ethics of new emerging technologies like nanotechnology, technology as a form of social experimentation. He receives regularly invitations for international conferences and workshops and contributions to encyclopedias in these areas. Since 1997, he is lecturing in ethics and technology for several engineering course programs at Delft University of Technology. He has been involved in several educational innovations in this area, including the development of the web-based computer program AGORA and the first Dutch textbook on ethics and technology. He has written over 25 international peer reviewed articles and over 15 international book contributions. He is one of the associate editors of the Handbook of Philosophy of Technology and the Engineering Sciences (Elsevier, 2009, editor-in-chief: Anthonie Meijers), co-editor of Philosophy and Engineering (Springer, 2010 with David Goldberg) and co-author of Ethics, Engineering and Technology (Wiley-Blackwell, 2011, with Lamber Royakkers). He is also a co-editor of the new Springer book series in the Philosophy of Engineering and Technology (editor-in-chief: Pieter Vermaas). Recently, he has received a VICI grant for his research proposal New Technologies as Social Experiments: Conditions for Morally Responsible Experimentation. In the last 5 years, Van de Poelâ€™s research has focused on three major themes in the philosophy and ethics of technology. A first theme is the role of (moral) values in engineering design and the notion of Design for Values. In particular, Van de Poel has investigated approaches for dealing with conflicting values in engineering design. He also did empirical studies how engineers deal with values in design, and supervised PhD projects on this issue. This line of research has resulted in several publications and, during his stay at the Netherlands Institute for Advanced Study (NIAS) in the academic year 2010-2011, he has worked on a book on the issue. Additionaly, he is co-editor of international handbook on Design for Values (forthcoming). A second theme is moral responsibility in Research & Development (R&D) networks. 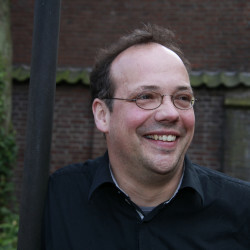 Van de Poel was project leader of a NWO project on this topic (2007 â€“ 2012), which builds on his earlier NWO project which studied ethical issues in parallel to a real R&D project (2005 â€“ 2007). The project focused on the problem of many hands: if a large number of people are involved in an activity it is often difficult to pinpoint who is morally responsible for what. The project has resulted in the conceptualization of notions of responsibility and the problem of many hands; it has also developed formalisations for these notions and has empirically investigated the problem of many hands in R&D networks. To enable the empirical research, a method for the application of the wide reflective equilibrium approach to ethical issues in R&D networks has been developed. This line of research has resulted in several publications; two further co-edited volumes, one on moral responsibility and one on approaches to ethics in R&D, are still in the making as is as a co-authored monograph on moral responsibility in R&D. A third theme is ethical issues raised by new and emerging technology. 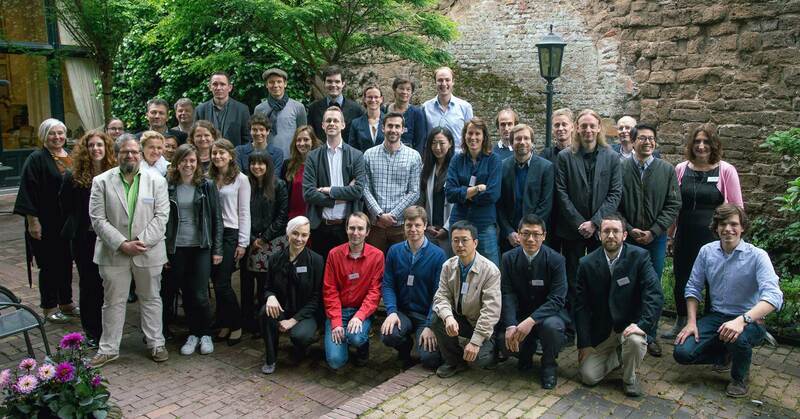 Van de Poel has acquired an EU project on ethical issues in synthetic biology (2009 â€“ 2011). He has also published several articles on ethical issues in nanotechnology and has developed the theme of technology as social experimentation. This has been consolidated in his current VICI project on â€˜New technologies as social experiments. This project deals with the challenge that many of the conventional approaches to risk governance are not directly applicable to emerging technologies like nano- and biotechnology due to high levels of uncertainty and ignorance about potential hazards. To overcome this problem, his VICI project conceptualizes technology as a form of social experimentation and investigates the conditions under which such social experiments are morally acceptable. Van de Poel, Ibo. forthcoming. Dealing with moral dilemmas through design. In The Design Turn in Applied Ethics, eds. Jeroen Van den Hoven, Seumas Miller and Thomas Pogge. Cambridge: Cambridge Univeristy Press. Van de Poel, Ibo. forthcoming. Design for sustainability. In Technology and the Environment, eds. Philip Brey, David M. Kaplan and J. Baird Callicott. Cambridge (Ma. ): MIT Press. Van de Poel, Ibo. forthcoming. Morally experimenting with nuclear energy. In The Ethics of Nuclear Energy: Risk, Justice and Democracy in a post-Fukushima Era, eds. Behnam Taebi and Sabine Roeser. Cambridge: Cambridge University Press. Van de Poel, Ibo. forthcoming. Society as a laboratory to experiment with new technologies. In Embedding and Governing New Technologies, eds. Elen Stokes, Diana Bowman and Arie Rip. Singapore: Pan Stanford Publishing. Jacobs, J. F., I. Van de Poel, and P. Osseweijer. 2014. Clarifying the debate on selection methods for engineering: Arrow's impossibility theorem, design performances, and information basis. Research in Engineering Design 25: 3-10. Van de Poel, Ibo, and Peter Kroes. 2014. Can technology embody values? In The moral status of technical artefacts, eds. Peter Kroes and Peter-Paul Verbeek, 103-124. Dordrecht: Springer. Van de Poel, Ibo. 2014. Translating values into design requirements. In Philosophy and Engineering: Reflections on Practice, Principles and Process, eds. D. Mitchfelder, N. McCarty and D.E. Goldberg, 253-266. Dordrecht: Springer. van de Poel, Ibo. 2013. Why New Technologies Should Be Conceived as Social Experiments. Ethics, Policy & Environment 16 (3): 352-55. Nihlen Fahlquist J. and I. van de Poel 2012. Technology and Parental Responsibility: The Case of the V-chip". Science and Engineering Ethics, online first, DOI 10.1007/s11948-010-9222-6. van de Poel, Ibo (2011). Nuclear energy as social experiment. Ethics, Policy and Environment 14(3): 285-290. Kroes, Peter, and Ibo Van de Poel. 2009. Problematizing the notion of social context of technology. In Engineering in context, edited by S. Hylgaard Christensen, B. Delahousse and M. Meganck. Aarhuus: Academia. van de Poel, Ibo. 2007. Ethics in Engineering Practice. In Philosophy in Engineering, edited by S. Hylgaard Christensen, M. Meganck and B. Delahousse. Aarhuus: Academica. van de Poel, Ibo. 2005. Engineering Design Ethics. In Encyclopedia of Science, Technology, and Ethics, edited by C. Mitcham. Detroit: Macmillan Reference USA. van de Poel, Ibo. 2000. On the Role of Outsiders in Technical Development. Technology Analysis & Strategic Management 12: 383-397. Van de Poel, Ibo, and Shannon Spruit. 2013. Experimenteren Met Nanodeeltjes in De Maatschappij. Tijdschrift Milieu, 2: 32-35. Van de Poel, Ibo. 2013. Experimenteer (Met Schaliegas)!. In: Jos Baijen (red.) Het beste idee van 2013. Uitgeverij De wereld: 156-157. Van de Poel, Ibo. 2010. Ethiek van de techniek. In Ethiek in Nederland van 1970 tot 2010 en daarna edited by B. Musschenga, T. v. d. Beld, G. d. Hartogh, F. Jacobs, M. Schermer and J. Kole. Budel: Damon. Bolkestein, Frits, Jeroen Van den Hoven, Ibo Van de Poel, and Ilse Oosterlaken, eds. 2009. De politiek der dingen. De verwevenheid van ethiek en technologie Budel: Damon. van de Poel, I.R. 2006. Kan Quality Function Deployment (Qfd) Bijdragen aan Meer Verantwoorde Productontwikkeling. Filosofie 16 (4):40-44.